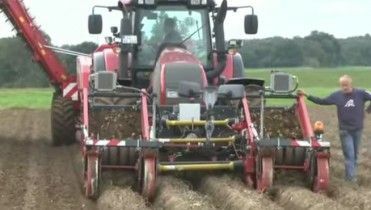 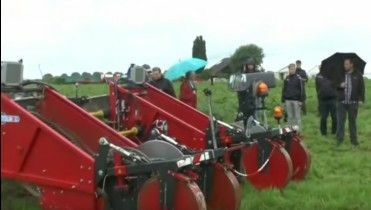 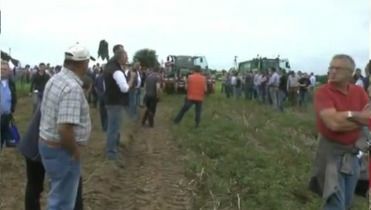 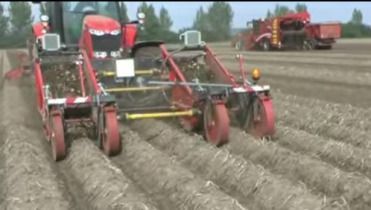 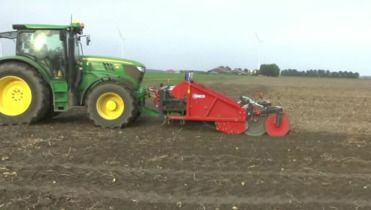 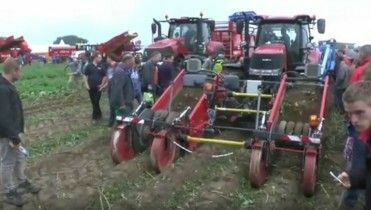 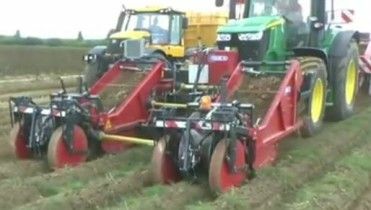 Front Harvester, in combination with conventional centerline harvester systems. 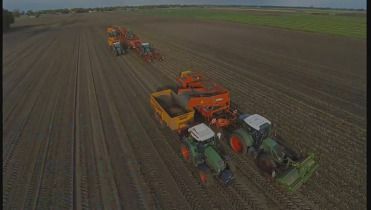 Harvests the two rows left and right of the tractor (row 1 and 4). 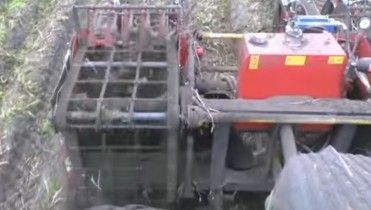 The machine is equipped with “diabolo-less” intakes. 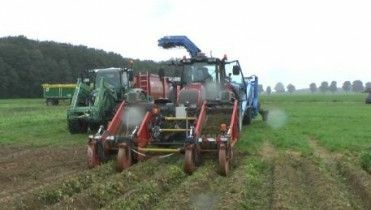 The first webs transfer the potatoes into two centre conveyor belts, gently placing the crop in a windrow between the next rows to be harvested. 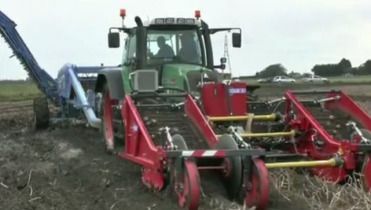 In this way your harvester increases its capacity, being able to pick up 4 rows at the same time. 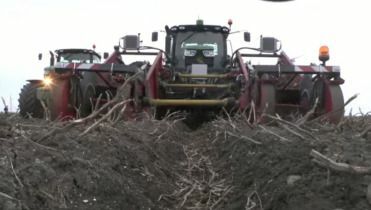 Using this system, both Harvester and tractor, can always use wide tires. 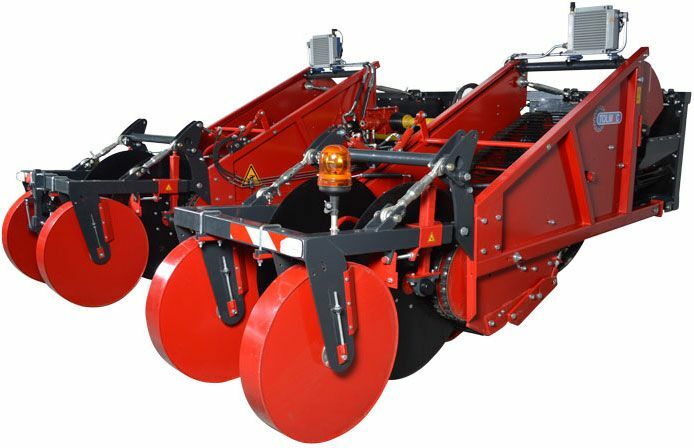 Optional is a hydraulic width adjustment (75-90 cm) available (MT 14-85H).